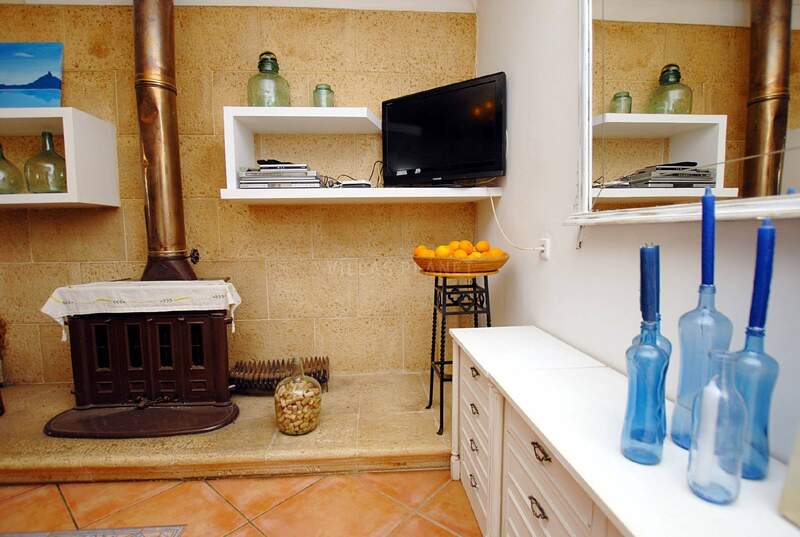 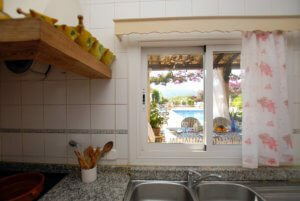 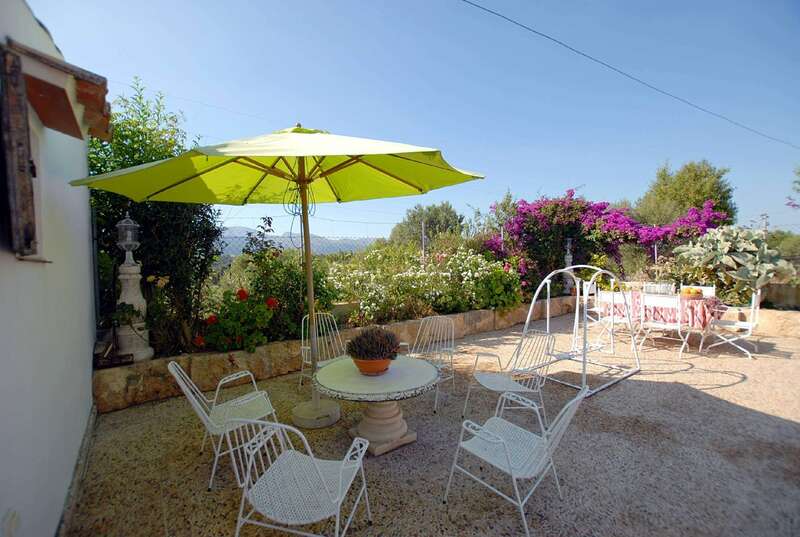 Townhouse with pool located in the upper town of Buger with panoramic views to the Serra de Tramuntana, enjoying privacy and tranquility in turn is functional and homely. 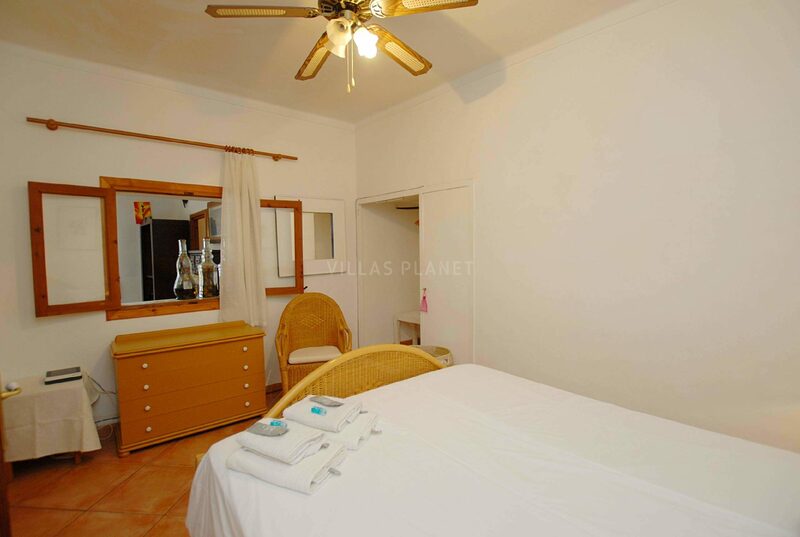 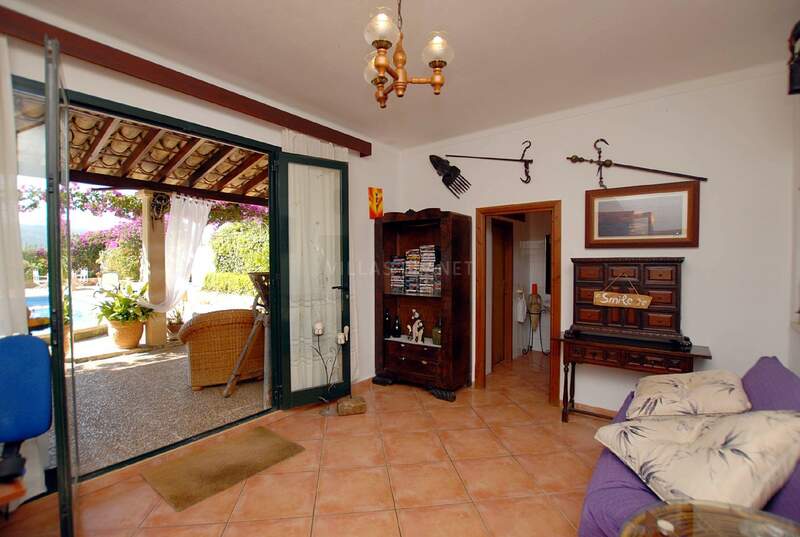 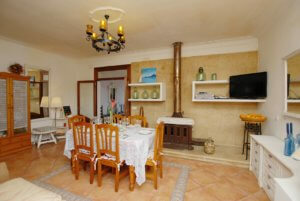 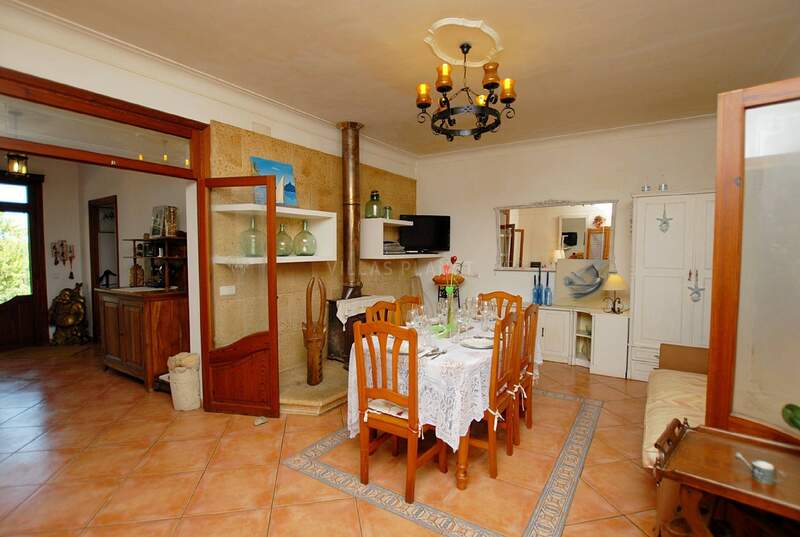 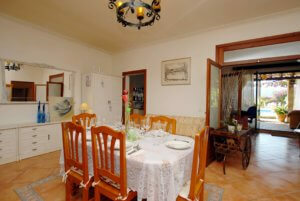 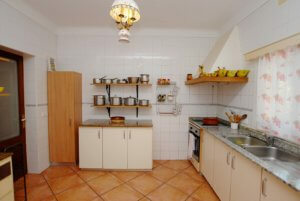 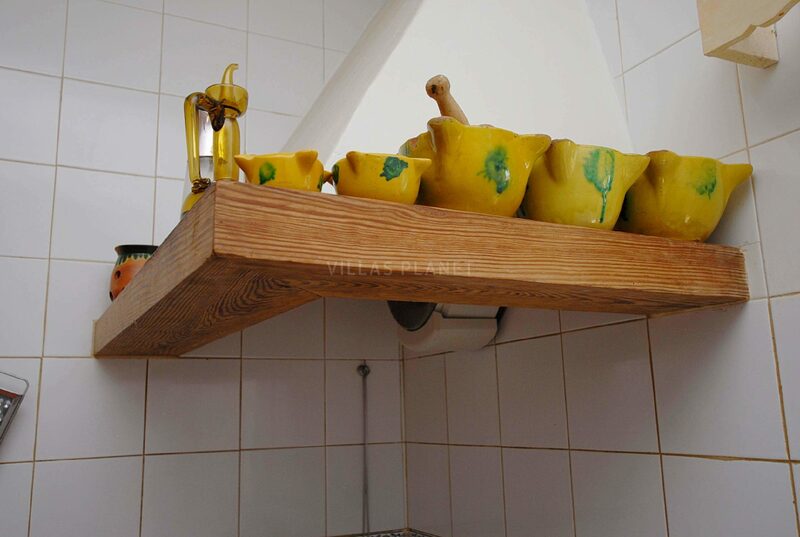 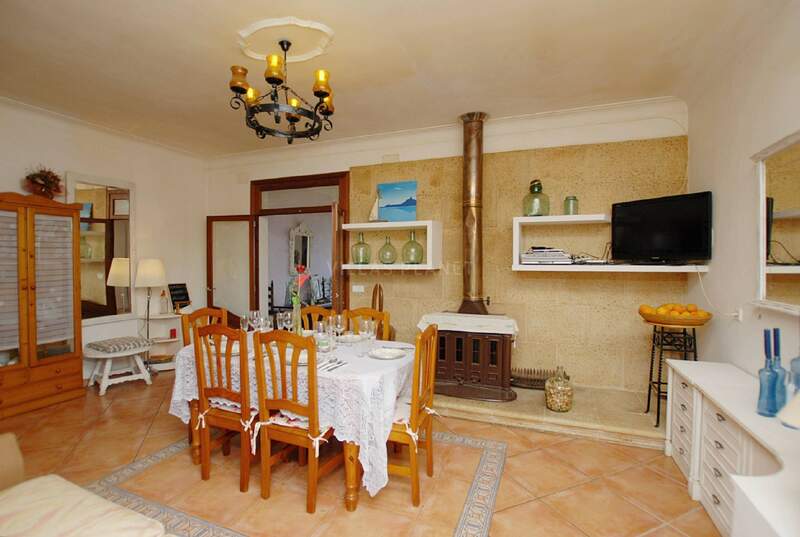 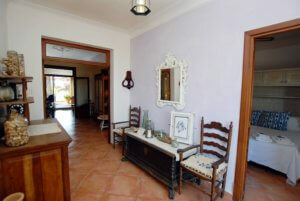 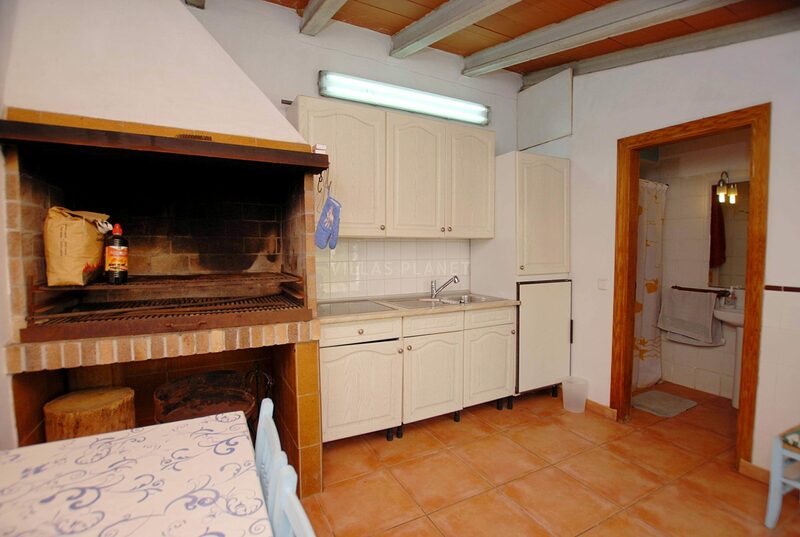 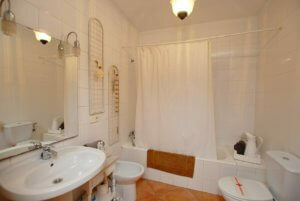 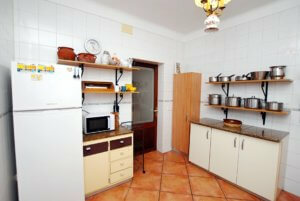 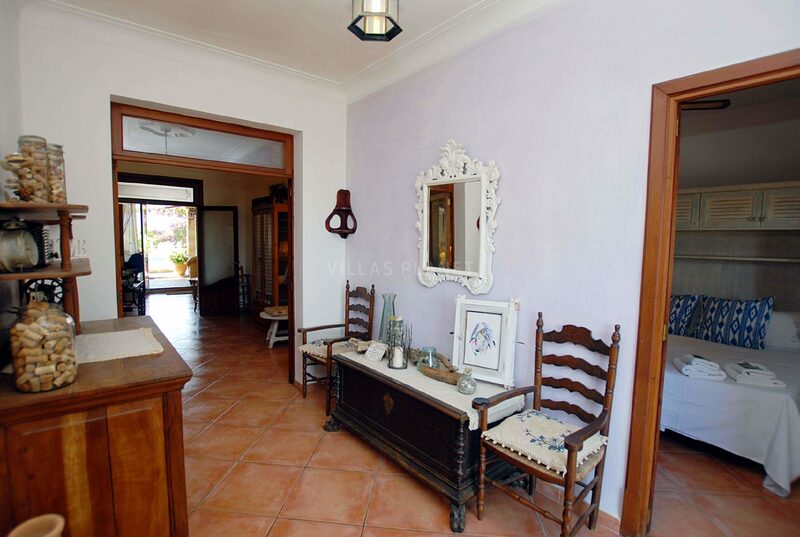 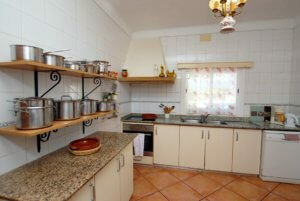 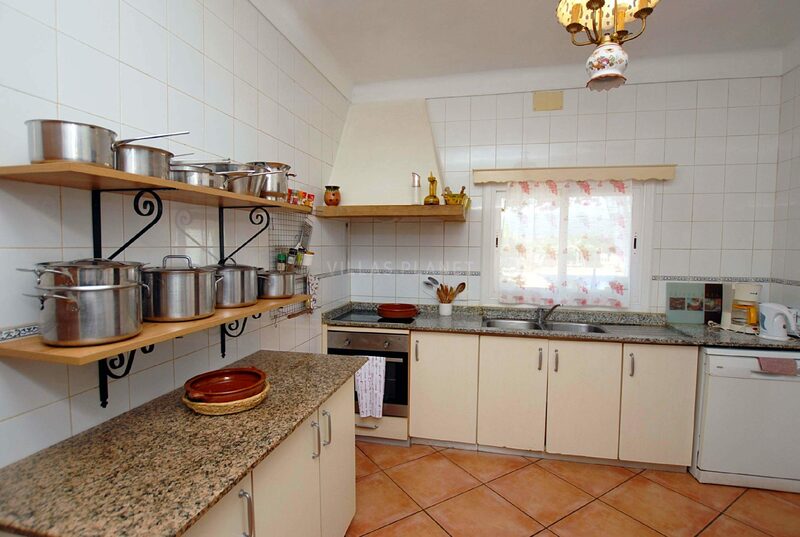 Distributed at the same level, entrance hall, living room, dining room next to the kitchen. 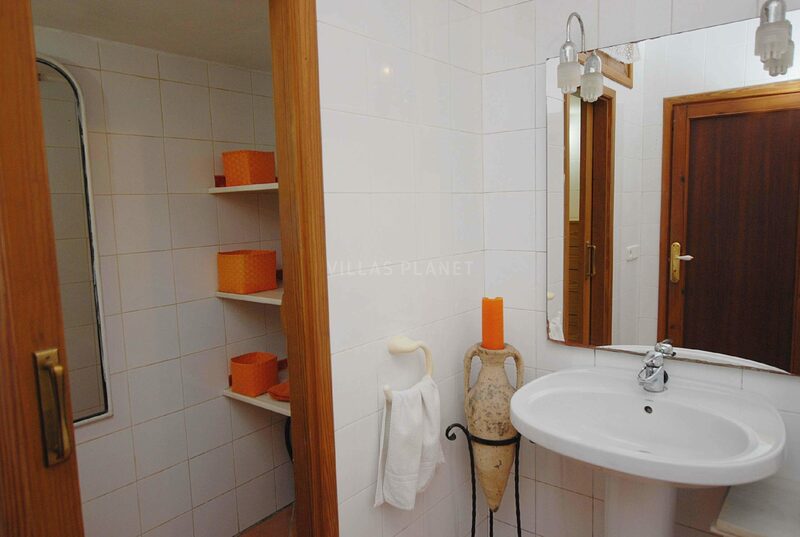 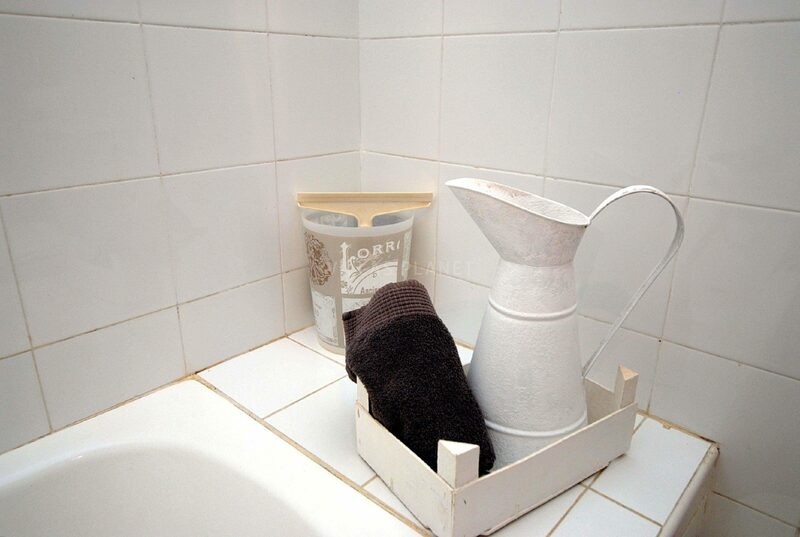 three double bedrooms, one bathroom and a toilet, the house has wi-fi. 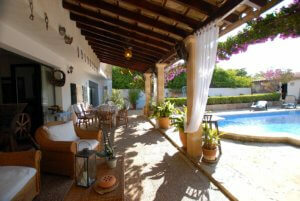 Wide porch facing the pool and garden, beside is the BBQ area very well equipped. 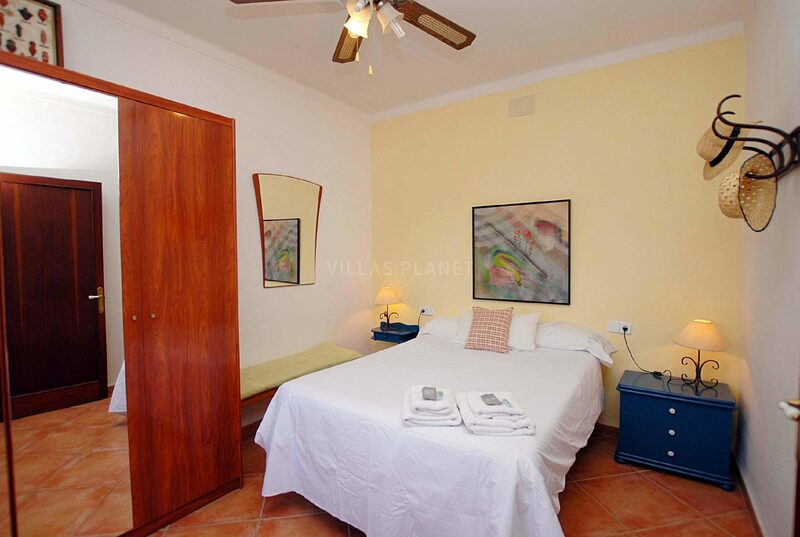 The nearest beaches are found in Puerto Alcudia where the Bay of Alcudia and 19 km of fine sand and shallow waters like the Bay of Pollensa, with the sand beach of Puerto Pollensa and also the Paseo Voramar and the picturesque beach of Formentor. 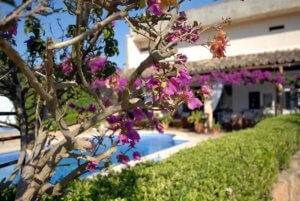 Golf enthusiasts have two nearby Golf courses: Pollença Golf and Aucanada Golf . 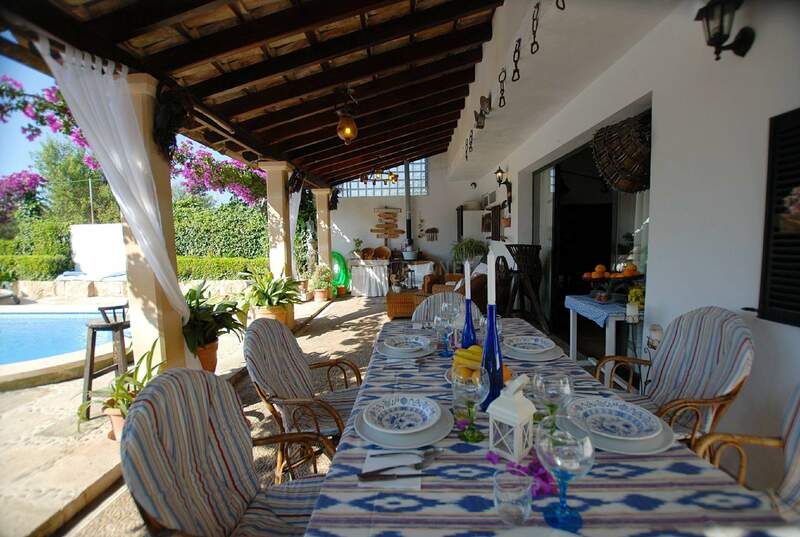 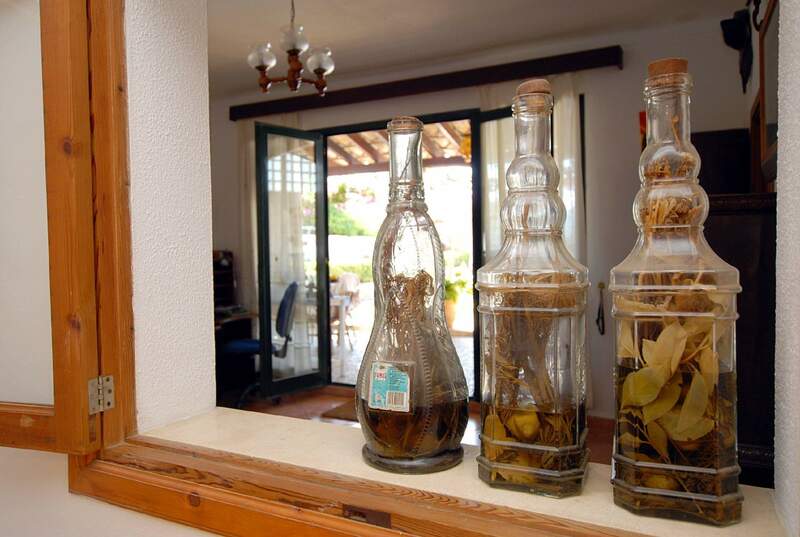 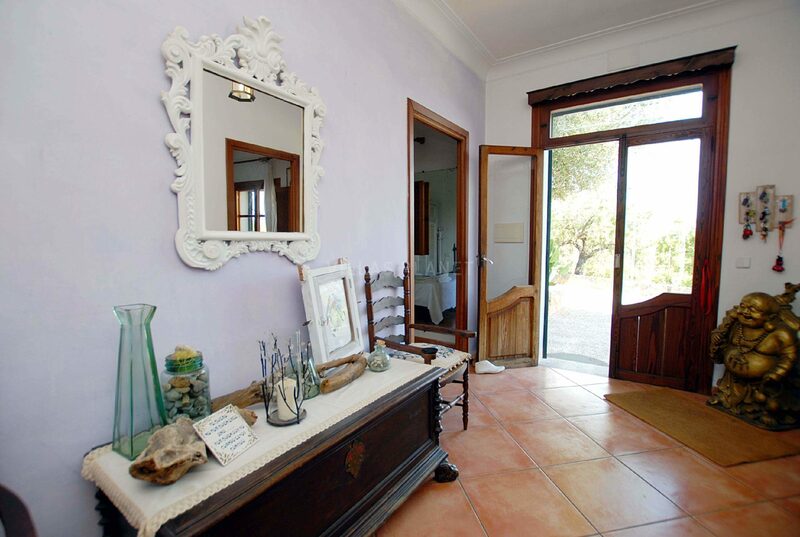 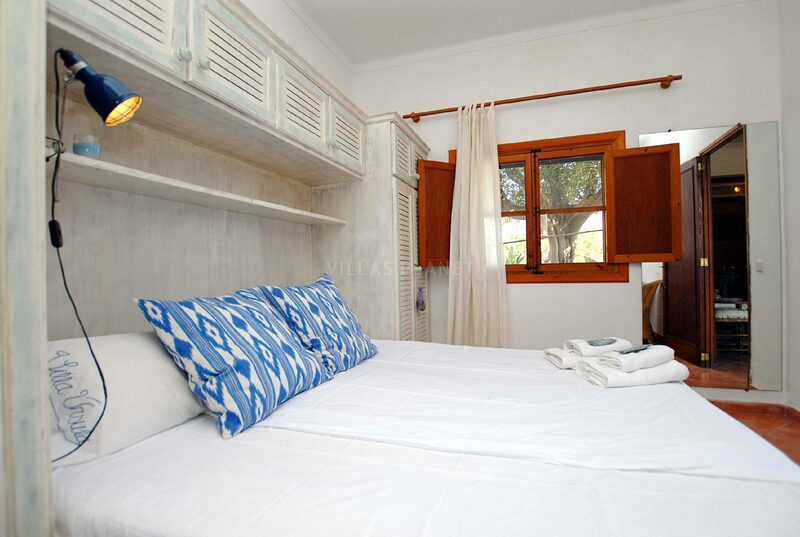 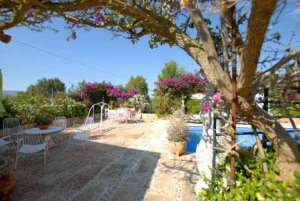 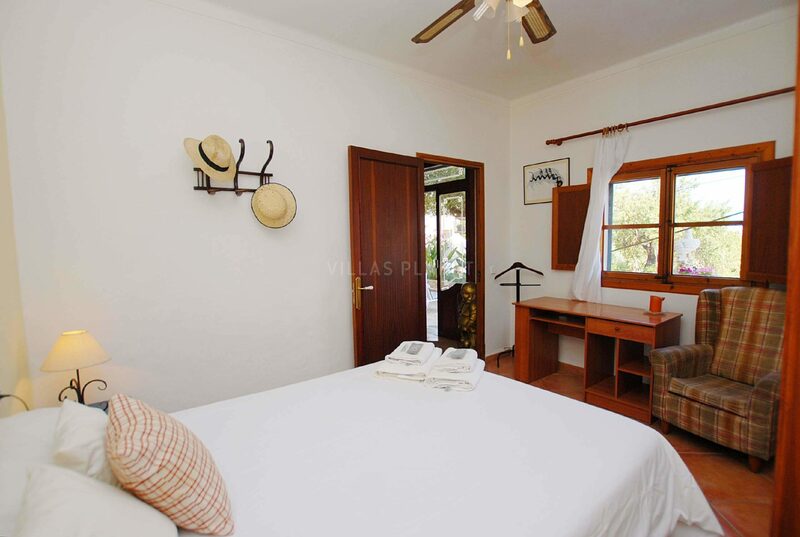 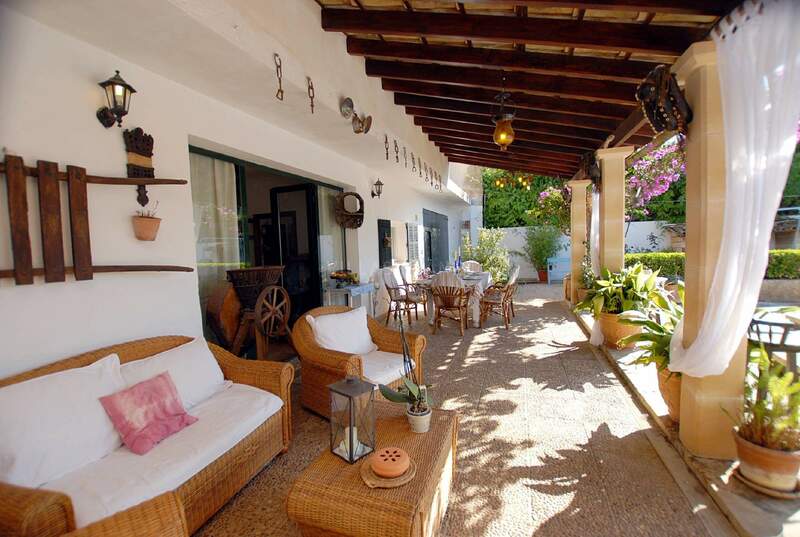 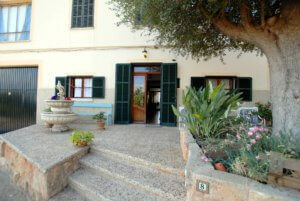 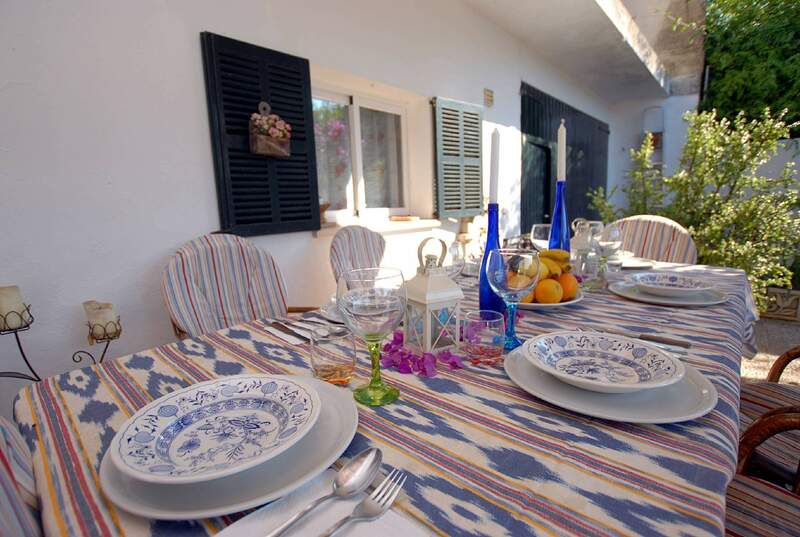 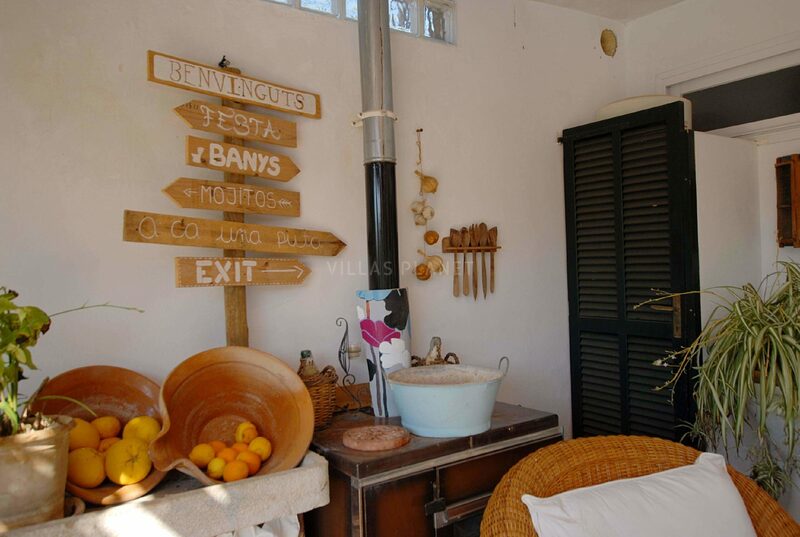 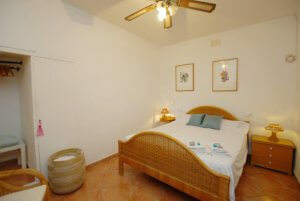 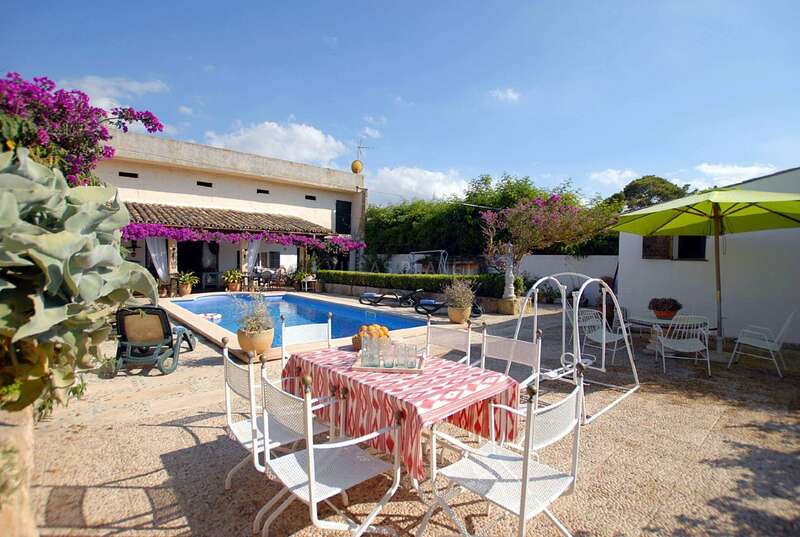 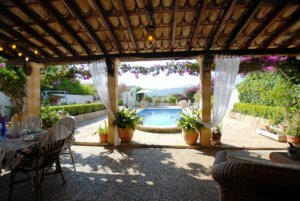 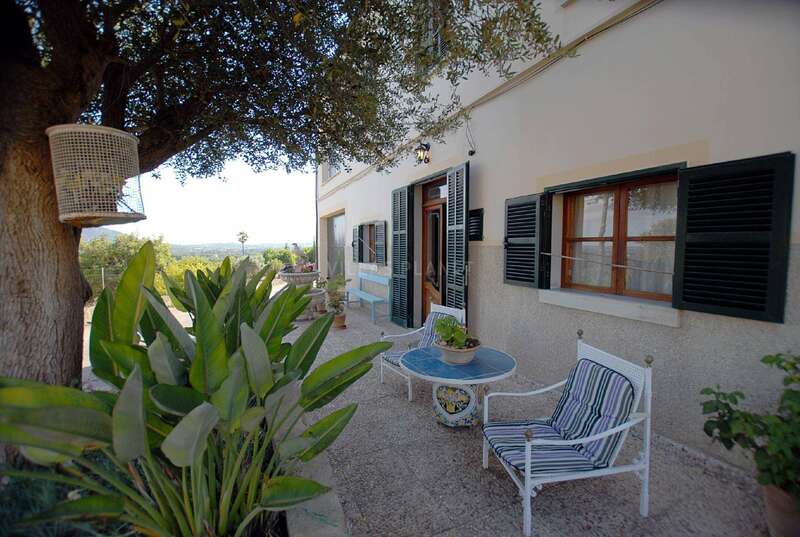 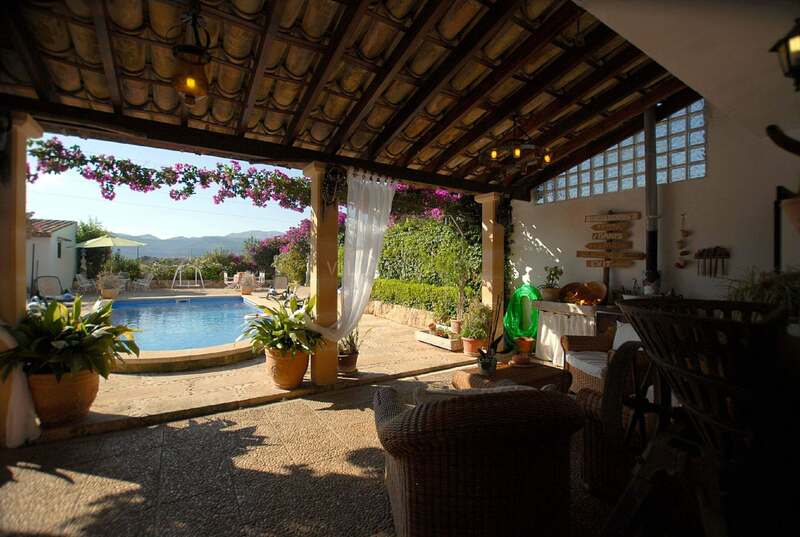 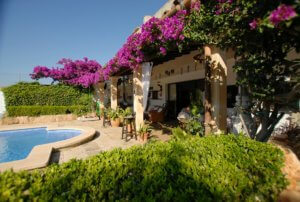 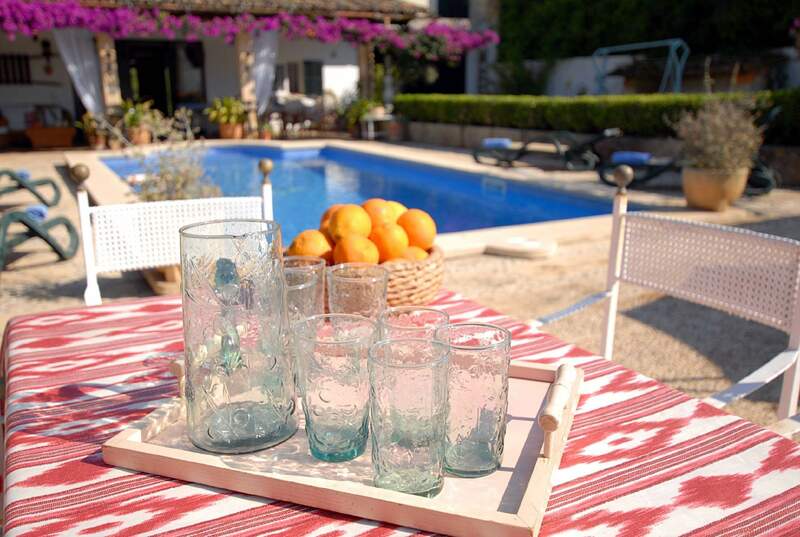 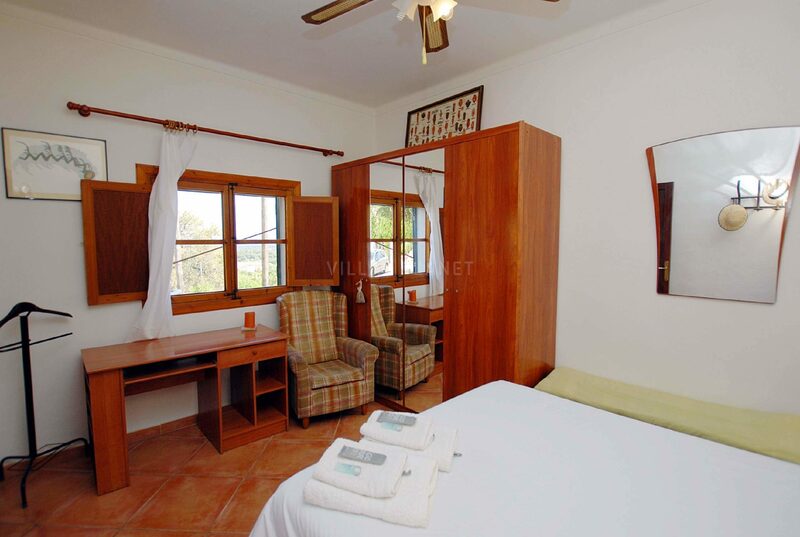 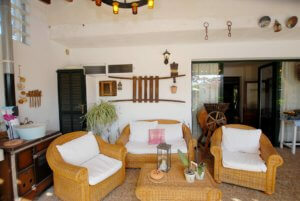 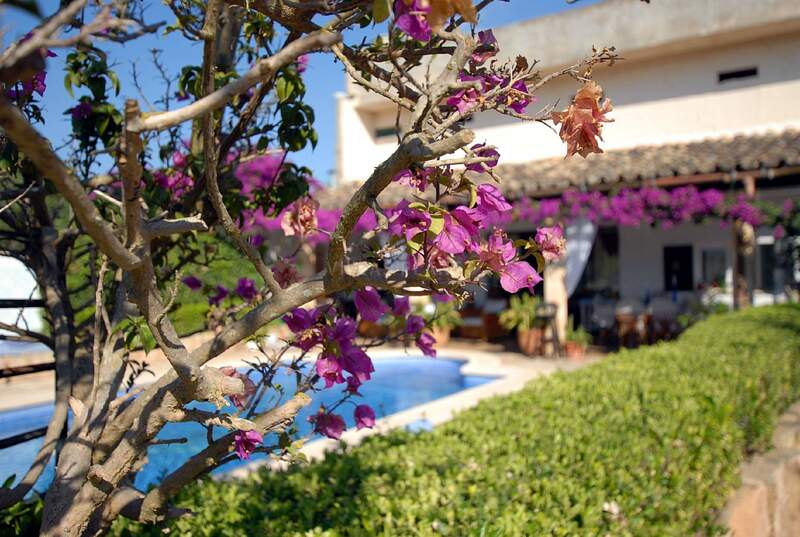 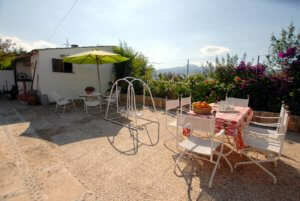 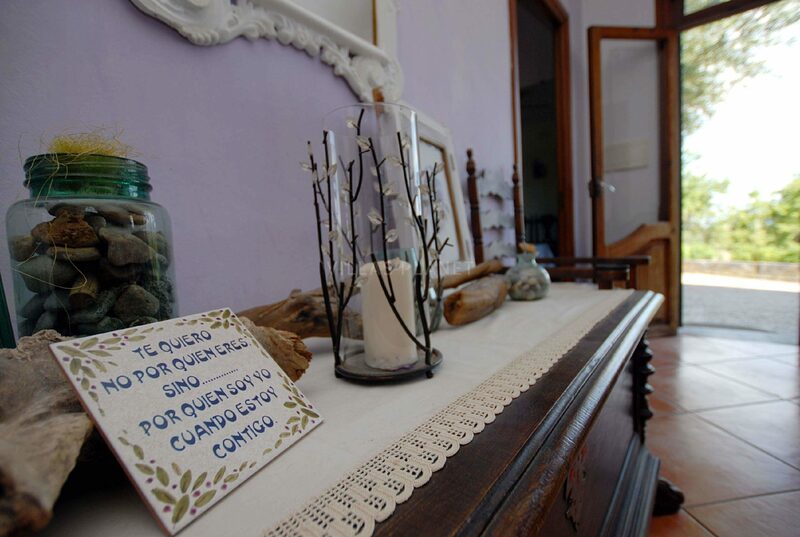 Búger is a picturesque and quiet village located in the North of Mallorca. 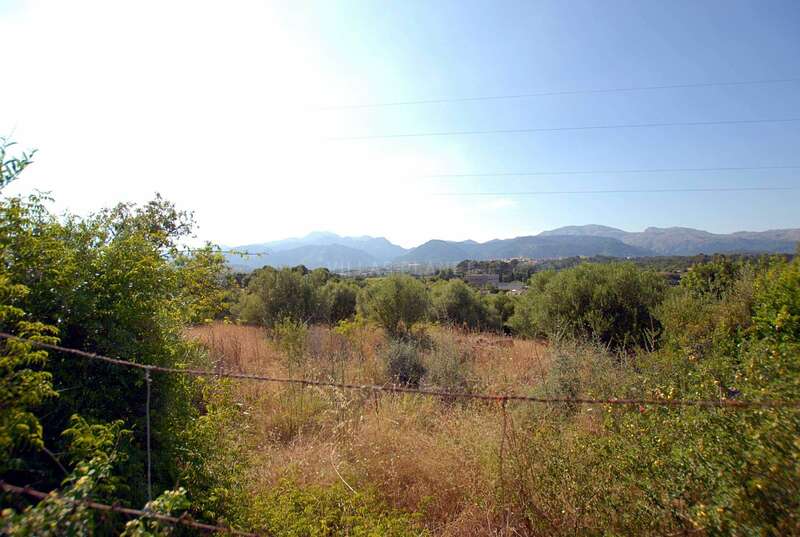 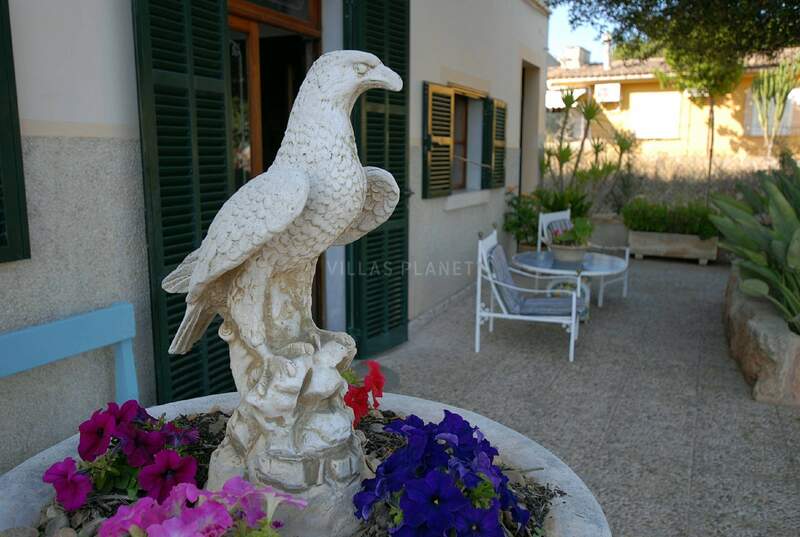 An ideal departure point for all types of hiking due to its privileged geographical situation on a hill next to the Tramuntana mountain range and the bays of Alcudia and Pollensa. 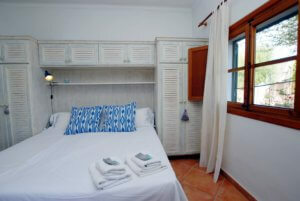 Búger is the smallest municipality of the island. 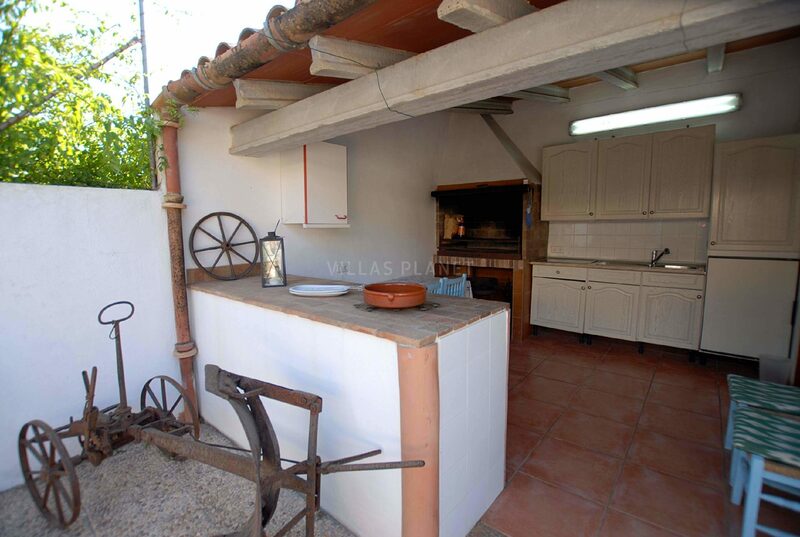 The rural character is preserved both in the village and its surroundings, and the magnificent views of the carefully cultivated fields extend toward the horizon reaching the nature reserve of the lagoon of S’Albufera. 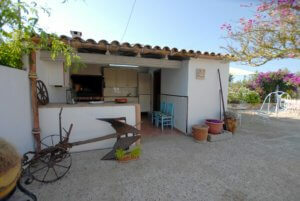 The windmills are one of the outstanding elements. In the area one can practice all kinds of activities and cover itineraries of high cultural value. 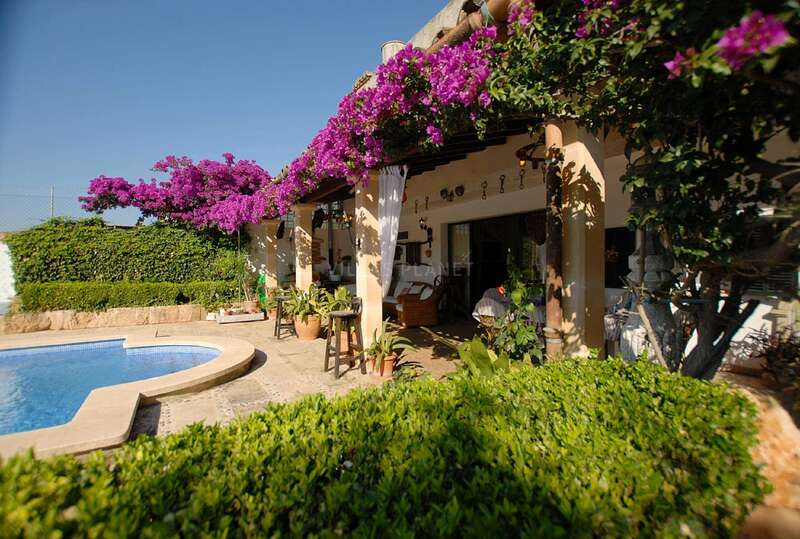 Palma de Mallorca : 43 Km.